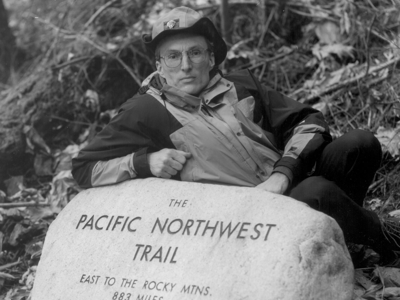 I founded the Pacific Northwest Trail Association (PNTA) in 1976. During the next forty years our 1200-mile trail progressed from a pie-in-the-sky vision to a Congressionally-mandated national scenic trail. Even today only eleven such official, long distance routes exist. We’ve racked up a remarkable record. But this year we need to focus on the governance of our non-profit group. I am writing to ask you to spread the word about ourSEARCH for someone to become our next executive director. The job pays $50,000 per year. The deadline for applications is May 15. If you know a youngish person with the requisite skills and experience, please encourage her or him to apply ASAP. I say a “youngish person” not because of age bias (after all I am 73 myself) but because I want the successful candidate to remain on the job for many years to develop a wealth of contacts. A national scenic trail is by definition a very long term project and needs a steady hand for the duration of the journey. Please help to make the PNT’s next fifty years even more memorable than the first.